Eating in a box: Happy Chinese New Year! It's the Year of the Horse. As tradition for Chinese New Year we had family over, and lots of food involved. No we didn't have the roasted pig above (we only got one pound), but if you're in of one we saw this one ready for delivery from First Chinese BBQ in the Chinatown plaza while picking up food for our own dinner. 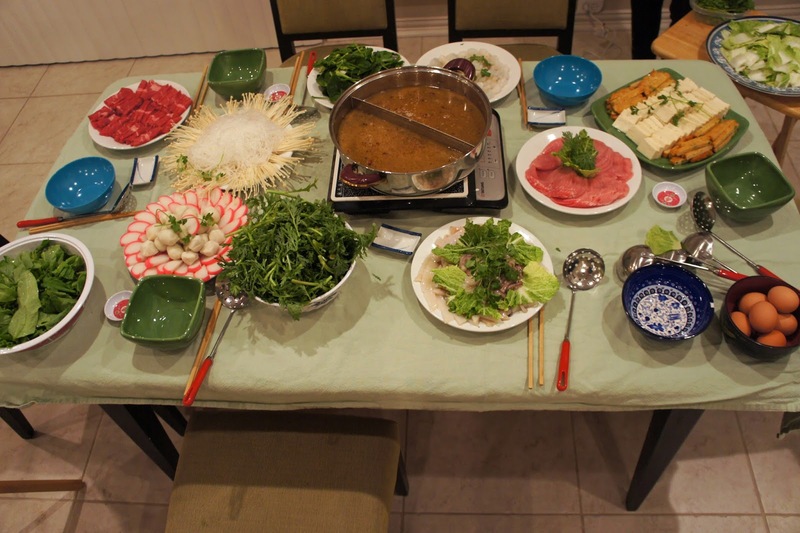 New Years Eve, I hosted a hotpot at the house. Chinese New Year is a week long celebration of food and partying we managed to wedge it into a weekend. 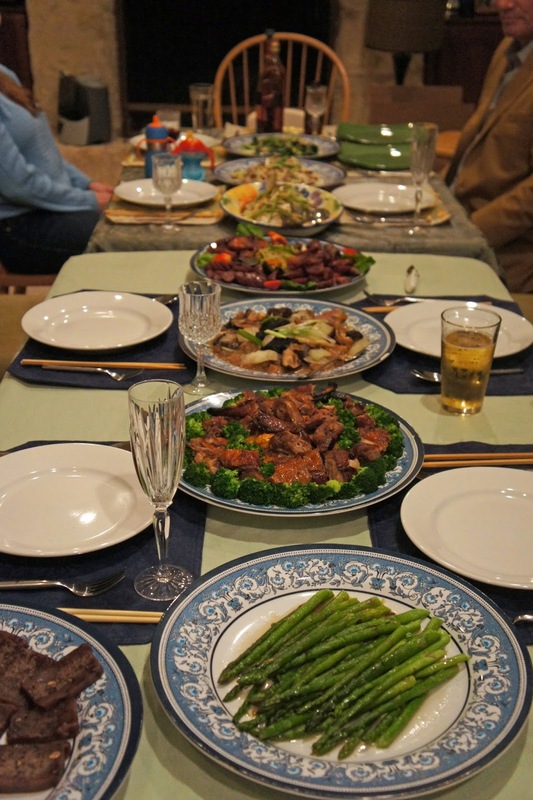 New Years Day dinner featured a large banquet of food, including a fish dish which is a Chinese play on words representing plentiful excess for the year and a dessert of Nian Gao to represent yearly growth, prosperity and achievement. Our final family dinner was sushi to go from our favorite japanese restaurant in town: Soto, while watching the big game. I figured the fish to add to the blessing of excess for the year was appropriate. Thank you Chef Andy for designing a wonderful last min takeout. Your blog page is quite amazing with all those delicious recipes. This is the second time we contact you about your blog and this is just a follow up. If this message disturbs you, I apologize. I will make sure that this would be my last message that regards to our project.